Sweden flags follow the same pattern as most the other Scandinavian flags. 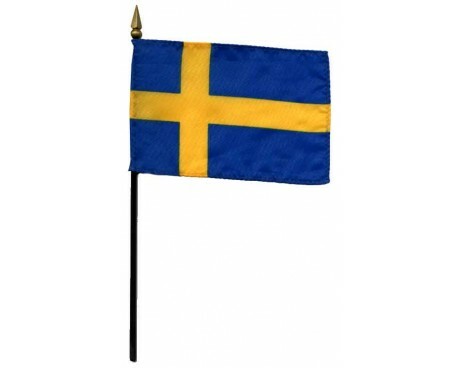 It consists of the Scandinavian cross depicted in the nation's traditional colors, which are blue and gold. 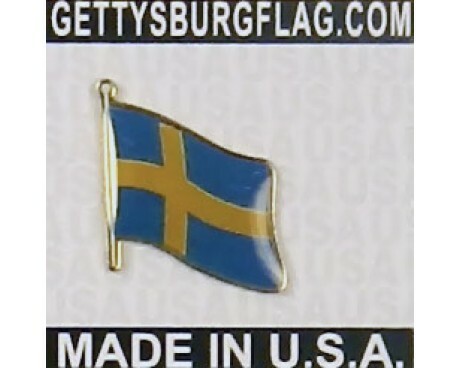 The Swedish design has a long history, and it has been mingled with the flags of other nations as the different countries in Scandinavia united and separated from each other. Legends say that King Eric IX of Sweden led his army in a crusade against the Finns in 1157, and that he saw a golden cross in the sky as he led his forces. That vision supposedly led him to adopt a gold cross on a blue field as his personal banner. However, there are no records of any crusade against the Finns during that period, and the first recorded depiction of the banner dates to several hundred years after the story takes place. 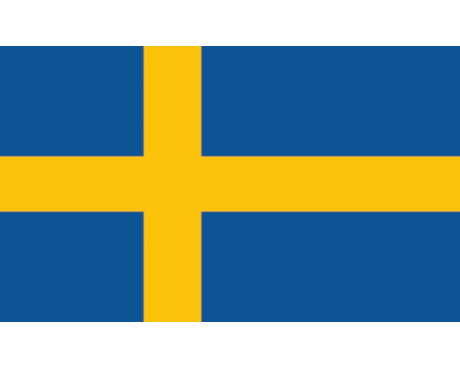 It is more likely that Sweden flags began as an adaptation of the Danish flag using Sweden's colors. It was probably invented during the reign of King Charles VIII, most likely around the time that he developed the country's coat of arms, which was in 1442. 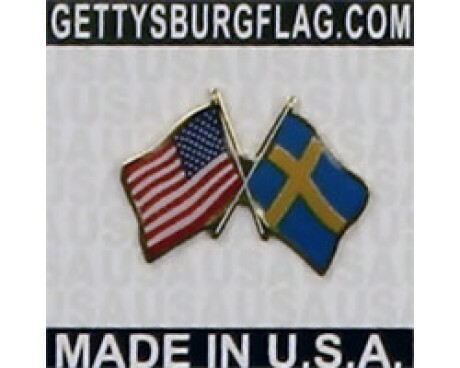 The flag's general design has lasted for hundreds of years, but it occasionally had to change when Sweden formed political ties to other nations. The kingdoms of Sweden and Norway united in 1815, which meant that the flag had to change to represent both nations. Sweden added a white saltire cross on a red field to the flag's canton in order to represent Norway, and the flag only reverted to its original state when the union ended. A more complicated union mark was added to the nation's military flags, and that mark has not been removed from them, even though the union itself ended many years ago.